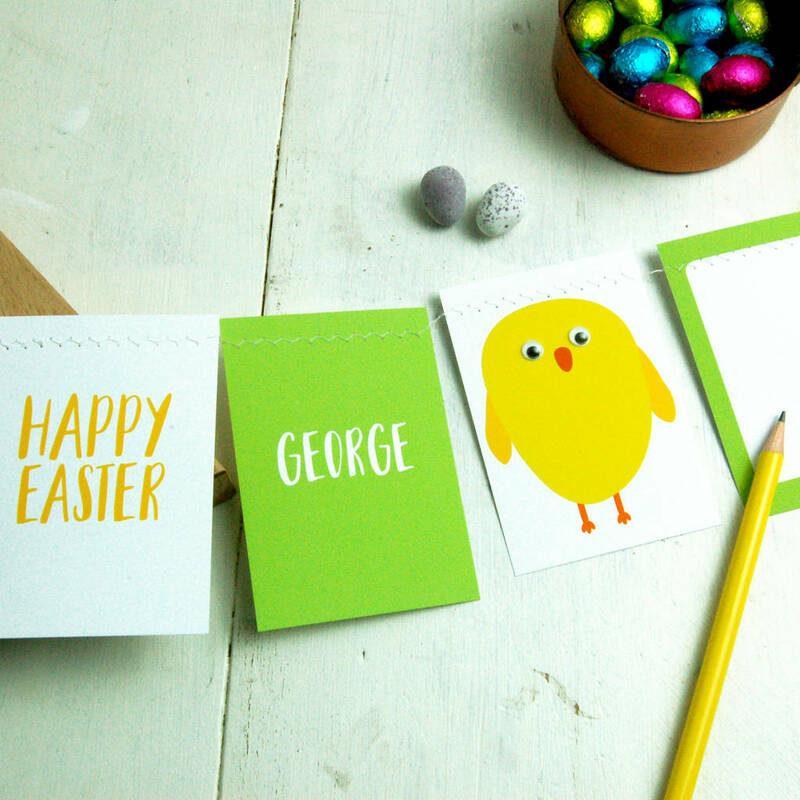 A wonderful personalised keepsake Easter card in a bunting style to really stand out amongst the other cards on the shelf. Makes a wonderful keepsake bunting garland for after the event and will stand out amongst the other cards on the shelf. A combined card and gift keepsake. 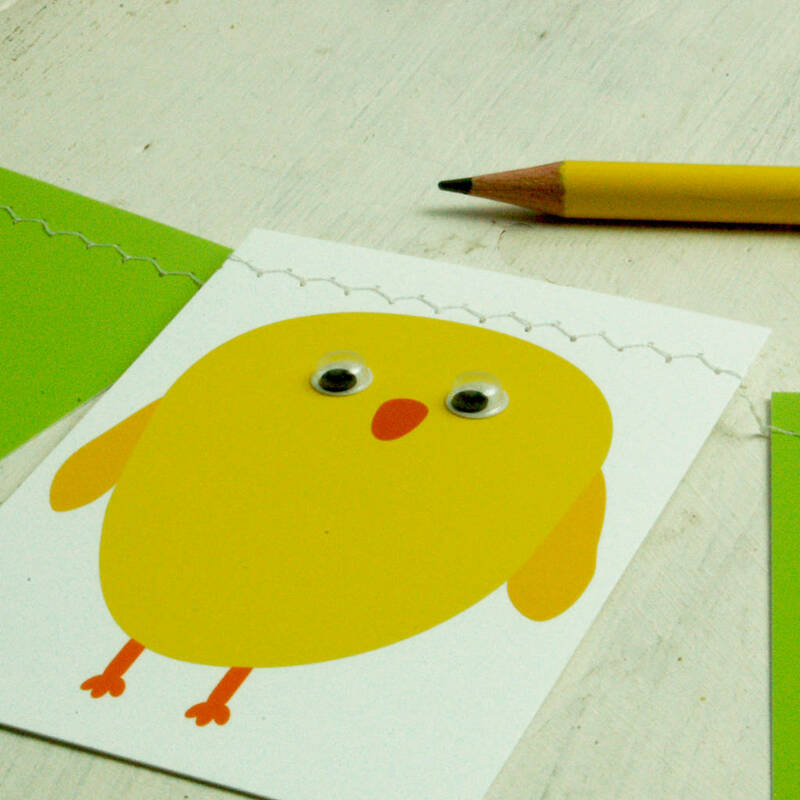 The card features 4 bunting flags, the final card has space to write your own message. The card is made up of 4 Bunting Flags. The first reads Happy Easter, the second states the recipients name and the third a cute illustrated chick with googly wobble eyes. the fourth is blank for your own message. Available in various colours. We can add a message and send direct to the recipient - please select this option for this service. Approx 40cm long with additional length of thread either side for hanging.